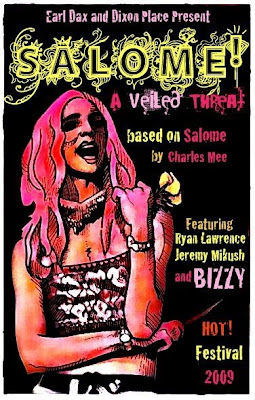 and presenting Bizzy as Salome! In Salome! "We celebrate the radical feminist power of one of the Bible's most beloved and reviled femme fatales, Salome. Through the works of Charles Mee, Tom Robbins, Richard Strausse, Valerie Solanas, Oscar Wilde, and Charles Bryant, we explore these works through the use of theater, dance, live music, film, puppetry and burlesque. It's a total blast!"